Our biggest challenge is to bring changes in the lives of underprivileged children by imparting free quality education and to generate self confidence among them. Apart from this we want to bring changes in their nutritional levels. It all began with a Taxi. Infact on a Rickshaw. Jalalludin Gazi used to be a Taxi Driver. He doesn't drive one anymore now that he is old and spends most of his time running the school which he himself couldn't afford to attend. 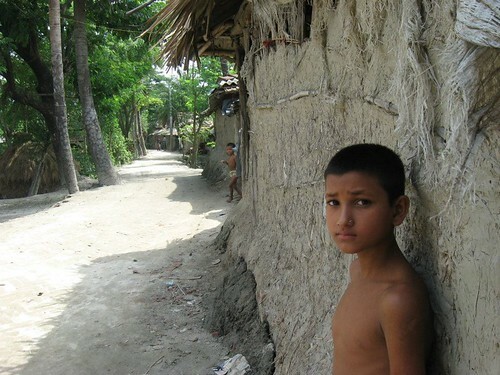 Young Jalalludin was pulled out of school at the age of seven due to the financial inabilities of his family. He survived pulling a Rickshaw - a human and hand pulled vehicle that you often read about in stories about Kolkata, the magnificent City of Joy in India. It was in 1978, while he was still struggling on the meager income from his rickshaw, he was nurturing every day his dream to help kids not turn out uneducated like himself. In those days, a part of his income went into buying books for children in his village, Thakurchowk. 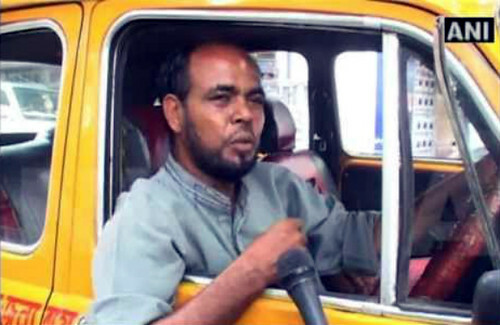 It took him 20 years to move from the rickshaw to a taxi! In 1998 he was finally able to pay off the loan on his taxi and then he had a vehicle to power his dream. With his own savings and donations from a few passengers, he started a school - Ismail Israfil Free Primary School - in his village. Thakurchowk is in the land of the Sundarbans, which calls out to human enterprise for survival everyday. It is a village where people struggle to survive against harsh climate and living conditions and live hand to mouth. It was only in the June of 2012 that the people of Thakurchowk accessed electricity for the first time in their lives in the 21st century, but Jalalludin brought the torch of education for the young in the village much earlier. The school provides free primary education to more than 200 students coming from the 7 to 8 villages around Thakurchowk. This school stands today as a living epitome of an ordinary man’s extraordinary mission. In his seventies today, Jalalludin looks after every activity related to the school with immoderate enthusiasm and energy. In fact he is nurturing more dreams! He wishes to start another school providing primary to higher secondary education and also establish a hostel for orphan children. If we are able to provide a low cost but healthy mid day meal it will help us maintain our appeal and ensure attendance of the children every day. We need to design a cheap and nutritionally complete Mid Day Meal for children in the age group 4 - 10. We need an innovative menu that contains the right ratio of protein and calories. The monthly budget for about 150 children is Rs. 15000 which comes to Rs. 5 per child per day. That is a little less than 3 US Cents. Cost is a big issue. So please suggest different food alternatives which are healthy as well as low cost and can be easily cooked and served to the kids. Just remember this is near Calcutta in India. This email is managed by a One Billion Minds team member as Mr. Gazi cannot do it himself. If we select your menu or food suggestion and use it, you will get a photograph of the kids with a personalised thank you note for you. We will courier this photograph by post. You will also be invited to come to the school for a day at your convenience and serve the meal to the children together with us.